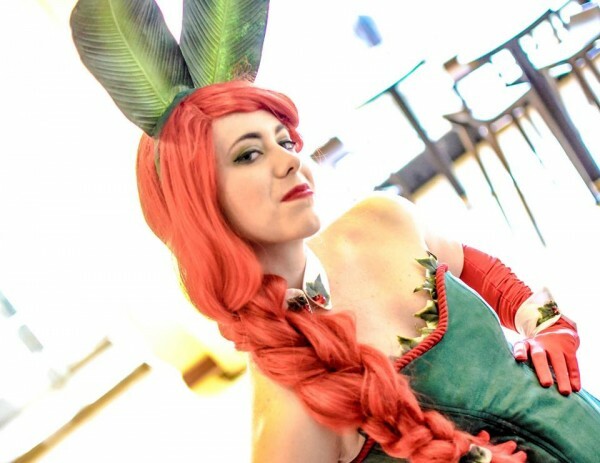 Cosplay Interview with Amanda Dawn « Adafruit Industries – Makers, hackers, artists, designers and engineers! Cosplayer Amanda Dawn has a knack for not only making fantastic costumes but looking completely natural in all of them. That’s at least partially because she doesn’t only stop with the costume – she completes the look with the right wigs, makeup, and props. She’s cosplayed characters from Disney, Lord of the Rings, Mortal Kombat 3, and Bee and Puppycat among others. I like that she changes it up. I recently asked her about her cosplay history, how she built a dragon, and prop and more. Amanda Dawn: I’ve been cosplaying for about two years, but I’ve been making costumes for a lot longer. I have a fond love of costuming and acting. I love being able to create anything I want. It’s exciting to put it on and become the character. 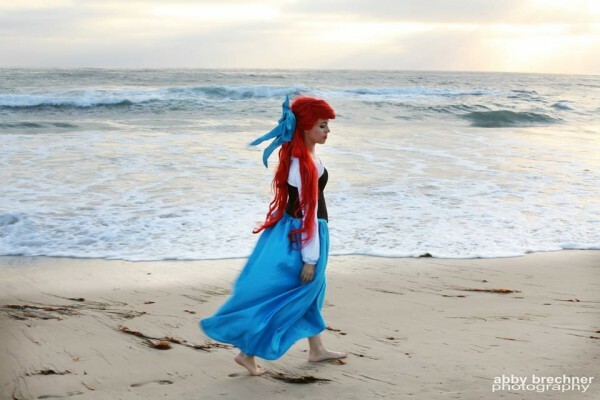 Adafruit: It looks as though you’ve cosplayed several characters from Disney films. What keeps pulling you back to Disney, and do you have a favorite Disney character to dress up as? Amanda Dawn: Disney is my favorite genre. I have a goal in my head to create every gown from a Disney princess. (It’s happening!) I grew up with Disney and still love it to this day. It’s hard to pick a favorite. I got back and forth, I would say right now Ariel is my favorite because I’m currently working on her tail. 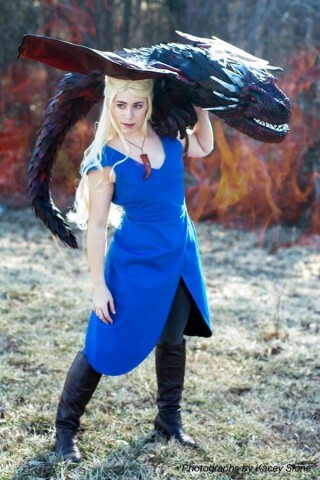 Adafruit: I noticed you had a portable baby Drogon to go with your Daenerys Targaryen costume, did you make him? Tell me a little about the process and materials used. Amanda Dawn: Of course! Drogon, my baby! I made him completely from scratch – sketch to complete! It took me over 200 hours and many many months to complete. He is mostly made of foam and wire. I carved foam, used a lot of glue and there were many tears but I do love him so! Adafruit: What new techniques and skills have you had to learn because of cosplay? Amanda Dawn: Oh man! Prop making for sure. I’ve worked as a tailor and am currently a costumer for the Louisville ballet so sewing isn’t my weak point. Haha. Learning all the foam prop making has definitely been a new technique for me. Adafruit: What advice would you offer to people interested in getting into cosplay? Amanda Dawn: Just jump in! Seriously, just go for it. And it’s okay if your first project isn’t perfect. Practice makes perfect. Keep up with Amanda’s latest costumes and props at Facebook!